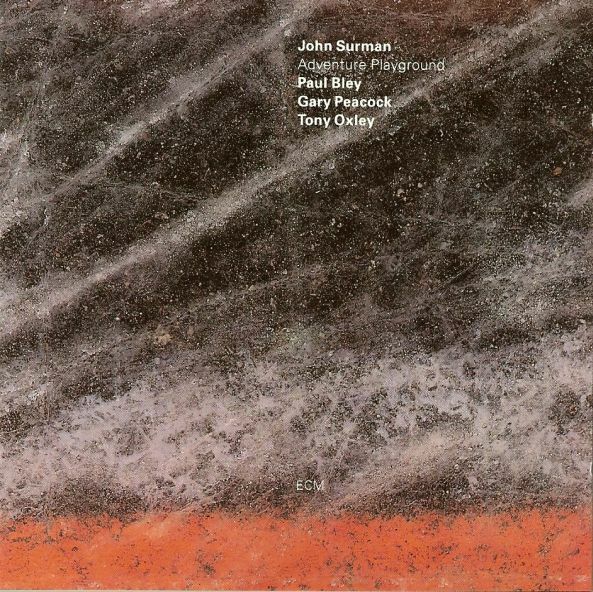 John Surman’s Adventure Playground is an appendix to Paul Bley’s previous quartet efforts, only now we find them in the company of bassist Gary Peacock and drummer Tony Oxley. And while the session does drip with the same brooding viscosity one would come to expect, the added colors of Oxley enhance the music’s inner states with endless novelty. Take, for instance, the anthemic frenzy he builds in his sole compositional contribution, “Just For Now,” by which he holds smelling salts under the nose of the listener’s attention. And again in Surman’s “Quadraphonic Question,” a lumbering yet somehow airy thing to which the rules of interpretation can only bow in appreciation of their own dismantling, his talents are especially brilliant, describing a host of people and places in bursts of expansive inquiries while managing to give those delicate soprano lines all the room they need to weep. Not to be outdone, Surman rustles up a fine set of tunes from his own wellspring. Between the utterly gorgeous strains of “As If We Knew” and the nocturnal visions of “Twisted Roots” there is plenty to return to for future listening, while the baritone of “Duet For One” wanders up a long and teetering ladder until it can see above the clouds and, with a hand over the eyes, pinpoint a new destination on the horizon. Peacock’s “Only Yesterday” may be the album’s plaintive opener, but it feels just as much like its conclusion. From a pianistic shower and tender reeds, it channels a flowing rivulet stained by the pigment of an unknown land. Peacock and Oxley dance somewhere upstream, bringing to their frolic an abiding sense of melancholy. In this percolating world of dreams and mythologies one finds an ever-visible thread running through it all. From this filament one can gather neither beginning nor end, but only the points one may grasp and allow it to lead one where it may. As with the album as a whole, it is a fully formed sphere even before the first note is played, waiting only for the light of our ears to reveal its more surprising topographies.